A side-scrolling stealth game, Mark of the Ninja is all about sticking to shadows, throwing distractions, and silently taking care of enemies, all in a setting that meshes the feudal with cyberpunk. The remastered version will include improved visuals, audio, cutscenes, and effects, plus the Special Edition expansion and a New Game Plus mode. 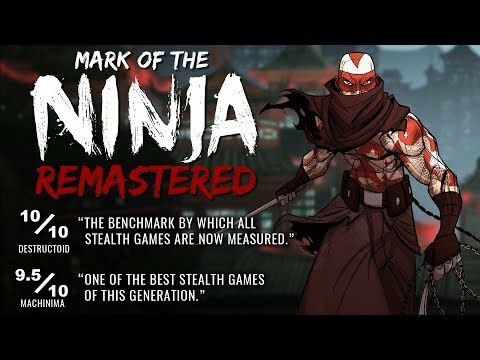 Mark of the Ninja Remastered was released on PC, PS4, Switch and Xbox One 195d ago in the US and the UK. Notify me when Mark of the Ninja Remastered is available.